The keeping of zoo animals has become a central tool in the conservation of some of the world's most fascinating, yet threatened, species. But how do zoos operate on a day-to-day basis? What are the key problems zoos face in trying to feed, breed and keep healthy the animals in their care? How do they play their part in conserving biodiversity? 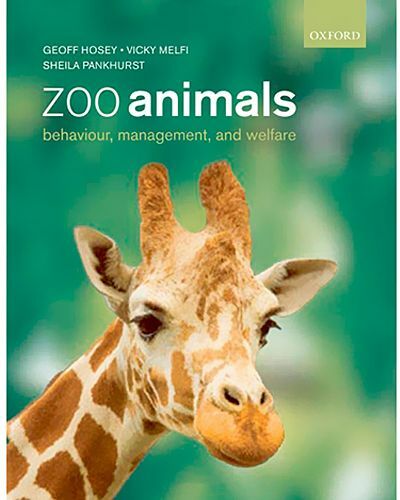 Zoo Animals: Behavior, Management and Welfare addresses the key questions surrounding the keeping of zoo animals, and reveals how we can apply our ever-growing understanding of animal behavior to ensure zoo animals are managed as effectively as possible. Drawing on their extensive experience of zoo research, practice, and teaching, the authors blend together theory with a broad range of both mammalian and non-mammalian examples to give a highly-readable overview of this burgeoning field. Zoo Animals: Behavior, Management, and Welfare is the ideal resource for anyone needing a thorough grounding in this subject, whether as a student or as a zoo professional.